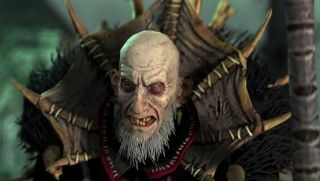 The latest Total War: Warhammer showcase goes in-depth with the Vampire Count mechanics to demonstrate why necromancy is forbidden by most fantasy lore: because it's too much fun. This is your primer on raising the dead in Total War, or, better yet, setting two strong foes against each other and raising their corpses to polish off the victor. Here we have eight minutes of stats and specifics on late-game vampire units, along with upgrade paths, technology trees and just a hint at writhing tentacles in the Chaos Wastes up north. Striking a balance between the quality and quantity of shambling horrors seems to be a key feature of the Vampire Counts, which ought to appeal to the middle manager in you. Usually in this sort of game I try to achieve both, followed swiftly by bankruptcy. If you're after a more descriptive sense of what it's like to march about the Old World as Dracula, we got our hands on them just last week.